ARGOS (Advanced Research & Global Observation Satellite) is a testbed and demonstration program for advanced remote sensing technologies for the US Air Force's Space Test Program (STP). ARGOS's primary objective is to fly and operate advanced payloads that include two technology demonstrations and seven experiment payloads for global and celestial observation. ARGOS also has a goal of three years of on orbit operations to demonstrate and collect science data for the Earth's global environment and top priority military space programs. These nine primary payloads contain over 30 sub-experiment objectives, one of which prototypes sensor technology with applications for the International Space Station and Cassini (mission to Saturn). On board ARGOS are high temperature superconductivity experiments that provide important demonstrations for one of the nation's top 10 critical technologies. ARGOS also provides a unique opportunity to fly three high-priority ultraviolet (UV) imaging experiments and an X-ray sensor on the same platform. Working simultaneously, results from these four experiments will be correlated to create a three dimensional picture of weather in the ionosphere. 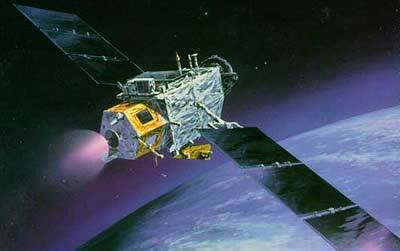 The remaining experiments investigate electric propulsion, gas ionization physics, plume detection capabilities, and orbital debris analysis of a highly populated low earth orbit.